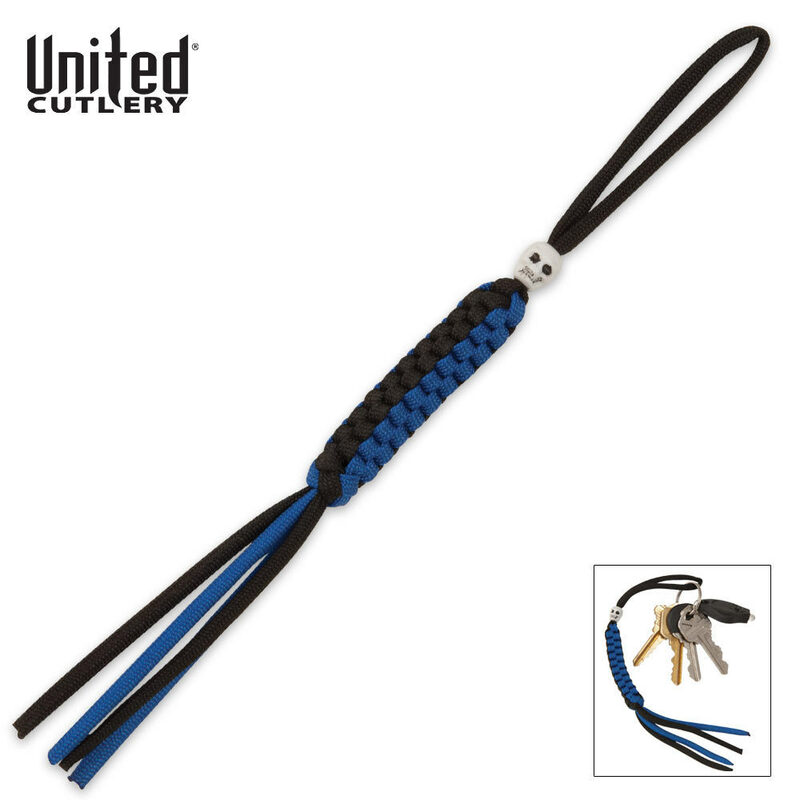 Accented with a white Skull bead, this paracord keychain is hand woven using 300-lb. military paracord. This keychain can be unwound in survival situations to produce approximately 6 feet of usable survival cord. It could be used for shelter building, splint building, spear lashing, building animal snares and many other tasks. 9 1/2 in. overall. I've gotten my girlfriend interested in paracord, and she got this for her keys. It performs admirably. Great price....A big hit with guys at work, lots of comments. I just purchased 4 of them. I have one on my key ring. It looks cool and everyone seems to like it. You cant beat the price. Makes a great gift also. I'm sure it will come in good use sometime.